On Facebook ‘WestMids AmnestyInternational’ can be your friend whilst we also exist as a ‘West Midlands Amnesty International’ group too. If you’re an Amnesty activist social media is a great way to spread the message. Want me to follow or add you then leave your details below. In my time as Regional Rep for Amnesty International and the time previous to it I have found networking to be an immensely important activity for local groups and the region. There seem to me to be several key benefits. Firstly, it brings our human rights work to a wider audience. Secondly, partners might be able to provide support i.e. meeting rooms, display space for materials, prizes for raffles. Thirdly, events can be promoted to their supporters also. Fourthly, it can be a great opportunity to recruit new members. And there are lots more benefits to be had. So how do you do it? Well the key to networking in my opinion is that there has to be something in it for both parties. A successful partnership like with a person has communication and mutual benefit at its heart. So what can you offer a partner organisation? Well you can provide materials, you could offer to do a stall at an event, you could give a talk at a meeting or conference and through talking find out what else might work. Examples of successful networking at a regional level includes relationships with the Birmingham LGBT Community Trust, The Stirrer, Midlands Cooperative, Midlands TUC and UNISON. Please share your thoughts and examples of networking by leaving a post below. 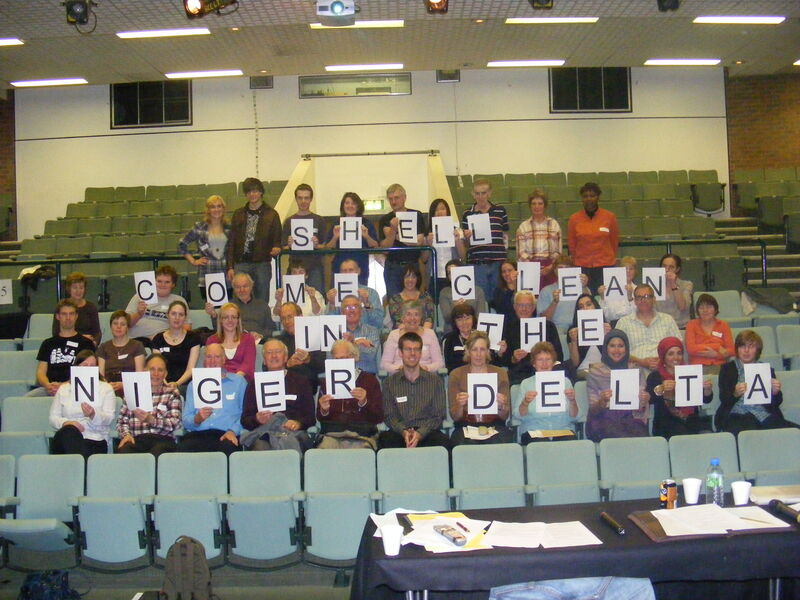 At Saturday’s West Midlands Amnesty International Regional Conference in Birmingham delegates sent a message to Shell to Come Clean in the Niger Delta. For more information on this campaign see http://www.protectthehuman.com/demanddignity . Thanks to all who attended on Saturday. I will put further feedback on this blog over the coming days and weeks.